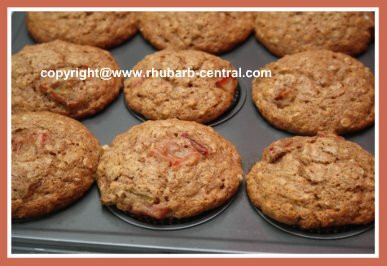 These Healthy Rhubarb Muffins include whole wheat flour and oatmeal, mixed with tangy rhubarb to make scrumptious muffins for snack, breakfast or brunch. 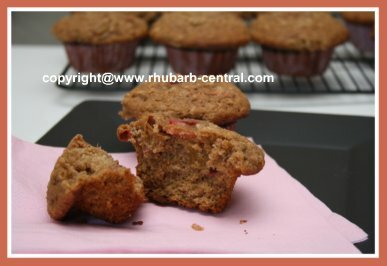 You can use fresh or frozen rhubarb for this muffin recipe. 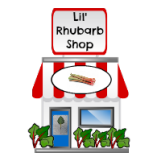 If you are using frozen rhubarb, thaw it first in a sieve, and discard the excess liquid. 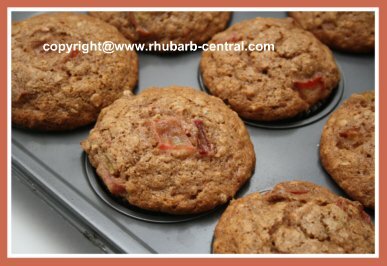 Whole Wheat Oatmeal Rhubarb Muffins - Healthy and Delicious! 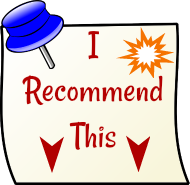 Note - If you are using a muffin pan, and not lining it with muffin cup papers, lightly grease the muffin cups. 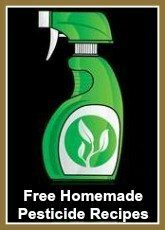 I like to use the non-stick cooking spray or olive oil in a special spray bottle. Makes about 12 - 15 muffins. 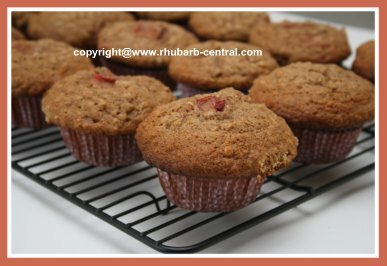 Enjoy these Healthy Rhubarb Muffins!